Another font with a highly questionable name. 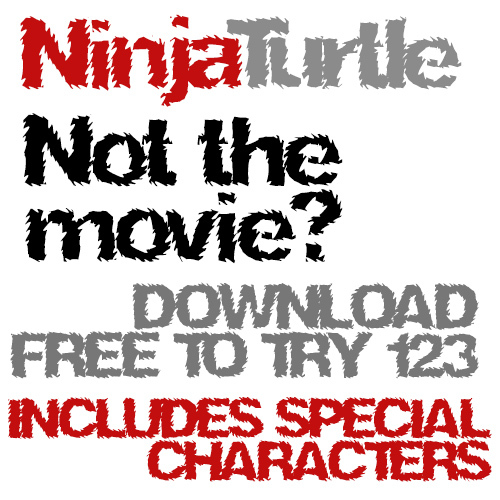 Ninja Turtle not the movie font? This font looks great big. kaboom. Use this on your next big budget hollywood movie or rave poster.